Look sweet as spring in this printed floral vest. 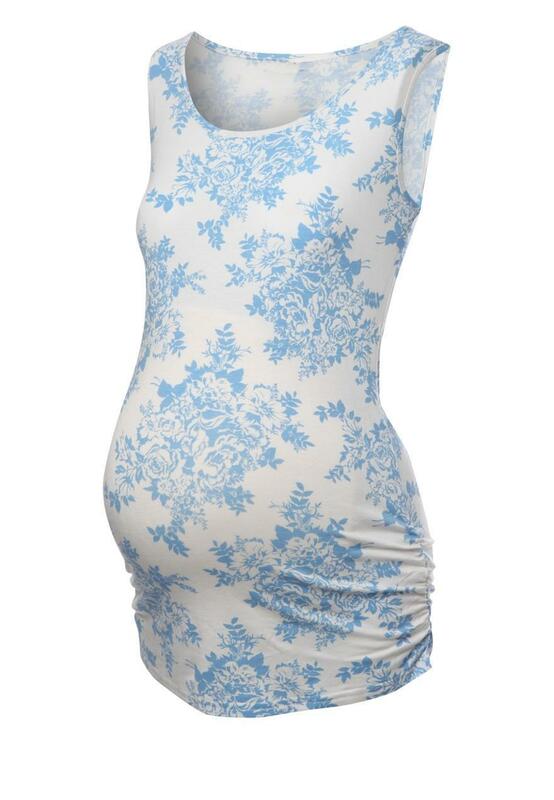 With ruched sides this top will fit your bump perfectly. Wear with some maternity bootcut jeans and flip flops.